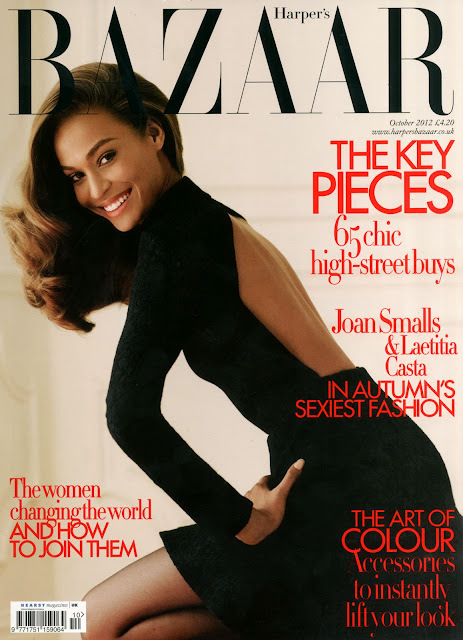 Joan Smalls: For me, I have to stick to a set regime that I know works, I’ve learnt a lot about my skin over the years. I tend to get oily on the T-zone of my face, while other areas are normal, so I always cleanse my face with a wash that contains salicylic acid and then I’ll moisturise. I also always keep lip balm close by; it creates a smother surface before applying lipstick. Joan Smalls: Estee Lauder’s 'Advance Night Repair Serum'. I apply it mid-flight to combat fatigue and keep skin supple and hydrated through a long trip. I really love the texture of it. Joan Smalls: It was Tom Pecheux, Pat McGrath and Virginia Young who taught me the art of blending your make up, it’s really important and you can see the difference. They’re such amazing makeup artists so I’m lucky to have learnt their techniques from them. Tom also recommended Estée Lauder’s Pore Minimizer to me. I use it to prep my skin before I apply make-up. I’ve know Tom for a little while now and trust him to always give me great advice. Joan Smalls: Actually, years ago, I tried a mixture for my hair that consisted of avocado, olive oil and eggs! I’d recommend it if you’re up for experimenting and getting your hands messy! It’s a good DIY trick for providing moisture to brittle hair.